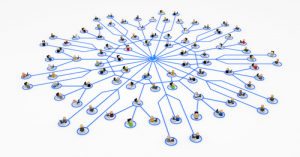 Networks are ubiquitous and research into the operation and structure of networks is exploding. In this domain of the website you will find resources that explore the dynamics and architecture of networks, the works of key network scholars, and insights into a wide variety of networks – from schools to insect colonies, the internet, and business organizations. You will also find examples of how network insights are being used to help create healthier communities and foster innovation. June Holley, Valdis Krebs, and Jack Ricchiuto I have seen countless networks grow over the past 30 years. It’s interesting to see networks grow from weaker to stronger. They go through four stages in the process. Here is a model based on the phases of human development. When we bring people together in their networks, we see all four stages within various connections in the network. Best of all, unlike human development where phases cannot be skipped, effective network development can involve immediate acceleration to an emerging and scaling network of adult connections. Network weavers help people move into the adult phase more quickly and successfully, accelerating the possibilities of more strong networks. People in the network give up dependency on their parent-leaders, but still believe the “pie of resources” is still finite and so compete with peers to satisfy their needs. In this phase, people in the network believe that others’ loss is the necessary cost of their gain. 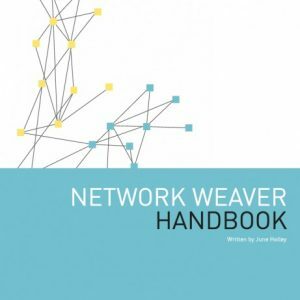 Learn more about social networks at NetworkWeavers.